Venue: Cardinal Cerretti Memorial Chapel, St Patrick’s Estate, Darley Road Manly. The Australian Brass Collective brings you a magical Christmas concert of Carols by Candlelight and baroque favourites. You are invited to join in the Christmas festivities by singing along in the company of one of Music at Manly’s favourite soloists, Gabrielle Fisher. 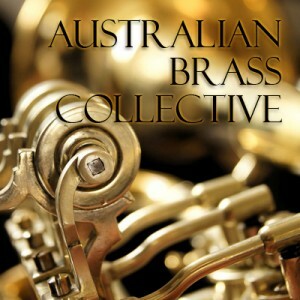 The Australian Brass Collective is Australia’s newest brass ensemble with a sole focus of mentoring young talent under the guidance of seasoned professionals. The ABC is led by Tina Brain (Horn) and Anthony Aarons (Trumpet); international artists and teachers who arrived in Australia via the UK and Canada and who (between them) have performed in virtually every major concert hall in Europe. The ABC is not just a traditional brass quintet, but an ensemble that embraces any number of musical genres from baroque to flamenco. The group is no stranger to musical collaboration and seeks to work with artists from all sorts of disciplines; dance, fine art and digital media. The ABC is delighted to have the opportunity to celebrate Christmas with Music at Manly for their 75th Anniversary concert series and look forward to a thoroughly festive occasion.